From the Shadows: Guest Author Interview: Tim Wendel + Red Rain Giveaway! Guest Author Interview: Tim Wendel + Red Rain Giveaway! Please welcome today's guest author Tim Wendel. Tim is an award-winning novelist and journalist and the author of numerous titles including his fabulous new work of historical fiction Red Rain . Tim: I always enjoyed reading as a kid. My family grew up in the country, between Buffalo and Rochester in Western New York. Of course, this well before cable television and the Internet, so reading was what you had. My parents were big readers and going to the local library was a huge deal. We went every weekend during the winter. Richard Ford, who I’ve had the good fortune to do a workshop with, once said that if you love reading then it’s only natural to try writing yourself. That’s what I started to do by junior high school. I wasn’t particularly good back then. I was a lousy speller. But I worked on several newspapers in college and then after graduation. They were a great proving ground. I covered everything from fires and murders to sports events and concerts. That period really improved my ability to write and do it on deadline. Later on in my career, I wanted to learn more about writing and that first took me to conferences at Squaw Valley and then to do graduate work at Johns Hopkins University. To me, nothing is more satisfying that writing well. Tim: RED RAIN is the story of the best-kept secret of World War II, the Japanese fire balloons. The backdrop and historical period is very much based in fact. More than 10,000 such paper balloons, with incendiary bombs, were launched from Japan in the last 18 months of the war. More than 300 landed in North America. The reason the story isn’t in our history books is that our government decided to keep it secret. That was a basic part of dealing with this particular national threat. Oakley Hall, who was one of my mentors and a founder of the Squaw Valley Writers Conference, read an early draft of RED RAIN. He told me the novel was about secrets. When are such secrets hidden and when are they revealed? That became my focus in finishing RED RAIN and it’s been a key aspect for readers. EJ: How did you first learn of the fire balloons used by Japan in WWII? Tim: It was in the last few months of Bill Clinton’s administration and several us were discussing at a party in D.C. how jaded things had become, how may be it wasn’t best that all the secrets were out, so to speak. That’s when a complete stranger asked if we knew about the best-kept secret of World War II – the Japanese fire balloons. He was with the Smithsonian and he told us a bit about the balloons. How they started forest fires throughout the West. I couldn’t get the story out of my head and a few days later I was at the National Archives and then the Library of Congress beginning to research the novel. RED RAIN took off from there. That led me to writing about a world and force that I’d gotten to know many years before. What I’m talking about is fire and the people who fight forest fires for a living. Two decades or so ago, when I was barely out of college, I was on a Hot Shot crew in Arizona. These guys and the smokejumpers are the top fire fighters in the West. I filled up notebooks about that experience and in RED RAIN I finally found a home for that material. Much of fire scenes, where the crew is battling the blazes ignited by the fire balloons, comes from those times. It’s based on real life and moments I participated in. 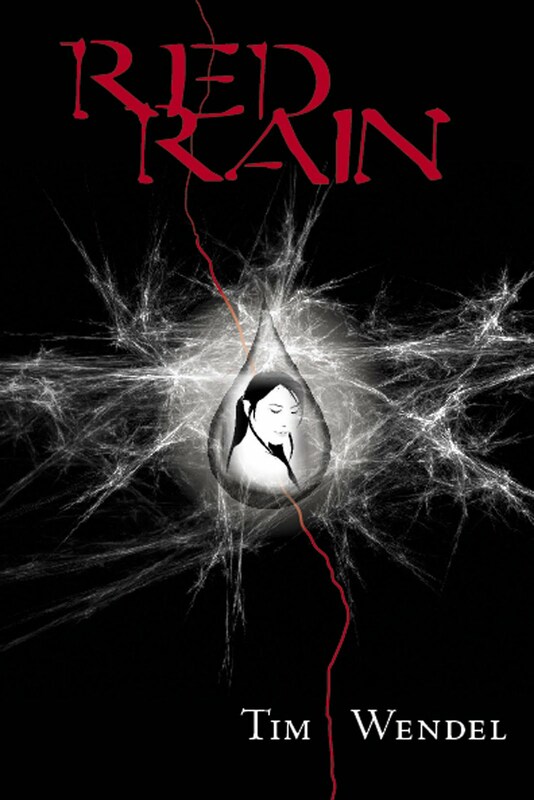 EJ: If your book 'Red Rain' were being made into a movie, who would you cast for the leading roles? Why? Tim: The novel as two main characters – Yoshi and Starling. A key part of the plot is will they ever get together? Yoshi is a Japanese-American woman, and I always thought that Ziyi Zhang from Crouching Tiger, Hidden Dragon would be great in the role. As for Starling, the male lead? It’s too bad Sam Shepard has grown so old in the tooth. He would have been great. So, who’s a young Sam Shepard? Maybe Joseph Fiennes. The funny thing we already have footage of another key cast member – the fire balloons themselves. Check out the YouTube book trailer for RED RAIN. The footage of the balloons in flight is real. We uncovered it at the National Archives here in D.C.
Red Rain by Tim Wendel. As the B-29 bombers began to pound Tokyo and most of the other major Japanese cities to rubble, the Japanese military became desperate to find a way to once again instill fear in its enemies. Out of such efforts was born the greatest secret of WWII — the fire balloon. One woman, Yoshi, camouflaging her identity, is sent to uncover these delicate but deadly creations. Read my review of Red Rain by Tim Wendel here. Tim Wendel is giving away a copy of Red Rain to one lucky From the Shadows reader! To enter, please leave a comment with your email address. This giveaway is international and you do not need to be a follower to enter. Giveaway ends Tuesday July 6th at Midnight EST. Thank you Tim for joining us here today at From the Shadows and for the wonderful giveaway! Fire Balloons ! I have a vague idea that I heard something about this many years ago but I would be very interested in getting hold of this book as this sort of historical suspense is something I enjoy. Thanks for opening it up to International entries. This book sounds cool! Thanks! A very interesting interview. I love how Tim described the conversation that sparked his imagination and the book. Great questions. Tim, I wish you all the best with the release of your book. Looks REAL good! I read your review and this book sounds very intriguing! Thanks for the chance! Great interview, and I love the cover of the book. Thanks so much for the giveaway! This sounds like a good one. Please enter me. i love history, and things like this make it come alive for me....i'd love to read this book! The book sounds gREAT ! I'd love to try this book !